Praised by the Miami Herald for his “eloquent” and “cathartic” playing, Aaron Merritt enjoys a varied career of teaching and performing. He currently performs with Miami’s Nu-Deco Ensemble, the Palm Beach Opera, and the Naples Philharmonic, and has performed with the Florida Grand Opera and New World Symphony under Michael Tilson Thomas from 2004-2008. He has performed across the United States, Austria and the Netherlands and he performs at the Colorado Music Festival in Boulder and the Cabrillo Festival of Contemporary Music in Santa Cruz, California during the summer months. With his colleagues in the Sona String Quartet, Mr. Merritt has presented over one hundred educational concerts for underserved schools and communities in the Greater Miami area. 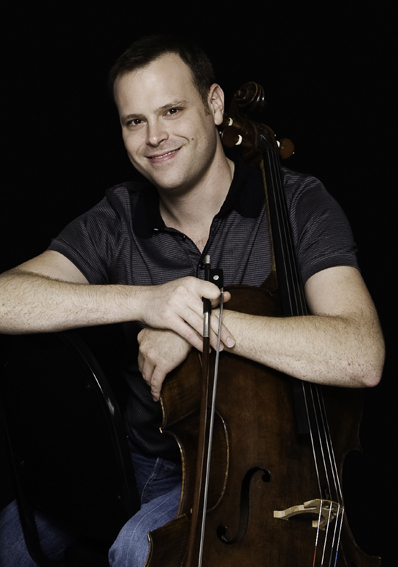 He is Adjunct Professor of Cello at Miami’s New World School of the Arts. His students have been laureates and participants at national and international competitions, including the Sphinx and Tchaikovsky. Mr. Merritt studied at Indiana University (BM) and Rice University (MM). Principal teachers include Lynn Harrell, Emilio Colón and Helga Winold.